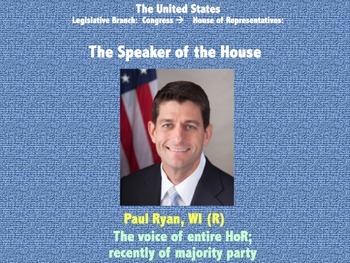 Who's Who in the United States Government? 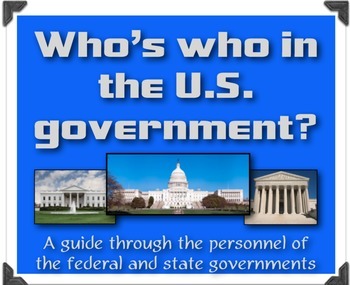 An overview of government personnel! This United States government activity is part of the American History Super Unit Expansion Pack. Check out the 12-lesson Expansion Pack to the American History Super Unit! This 12-lesson expansion pack is priced to save you considerably! 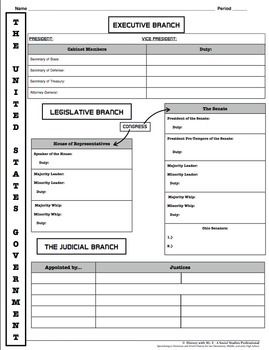 In this engaging lesson, students are guided through a 39-slide PowerPoint that teaches students of the major positions and personnel in the United States Executive, Legislative, and Judicial Branches. Students are given a guided-note packet that guides their learning as you navigate through these essential people. PLUS - several slides are given to introduce the state governments! 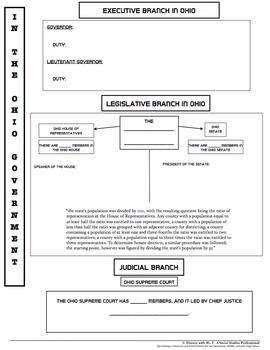 This activity is already geared toward the Ohio state government, however you will need to modify for your state's system and personnel. Also, a blank organizer has been provided for you to modify according to your state!